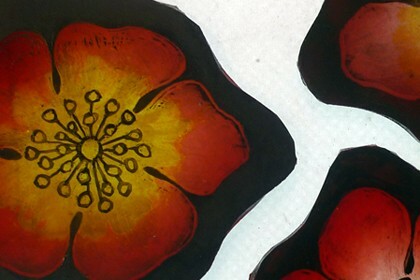 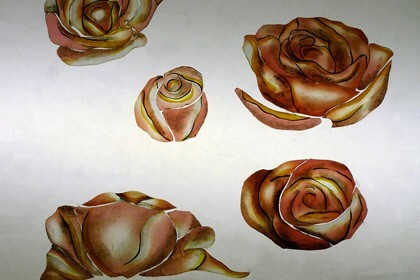 Painted, etched and stained flowers to replace broken pieces in original Victorian leaded light. 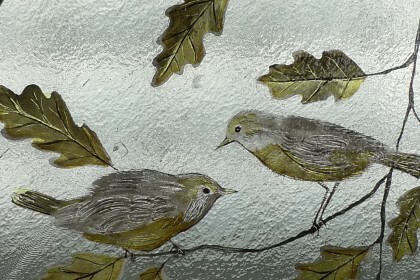 Hand painted and stained pair of birds for period windows. 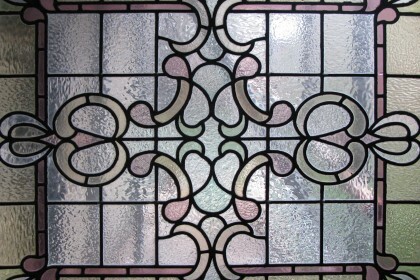 Reproduction Victorian leaded lights for private residence. 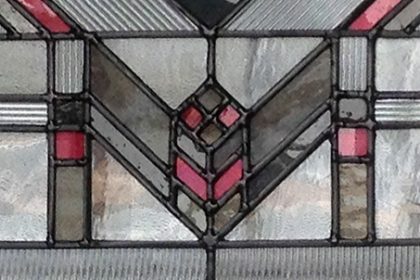 Frank Lloyd Wright style window. 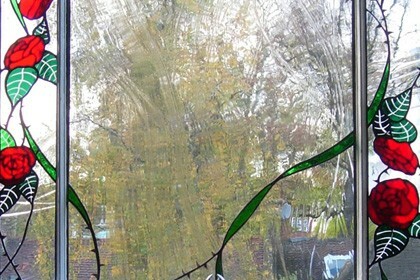 Sun window for private house. 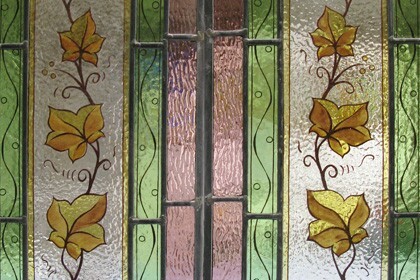 Victoriana leaded light for private home. 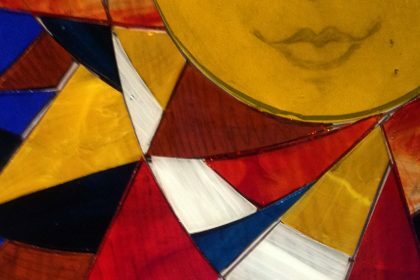 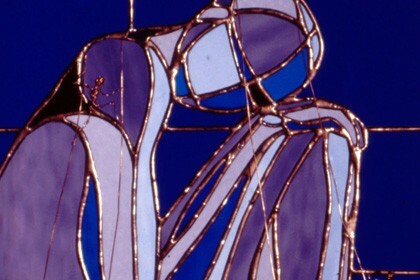 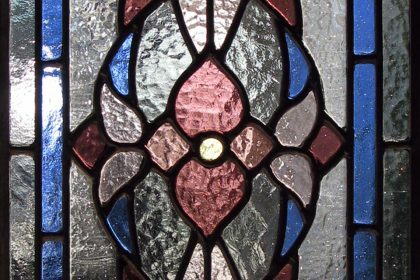 Reproduction abstract leaded light for private home. 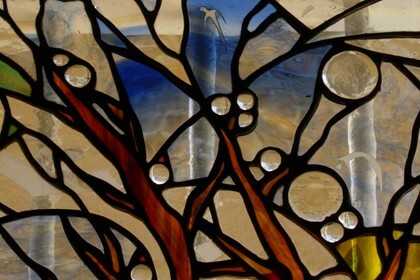 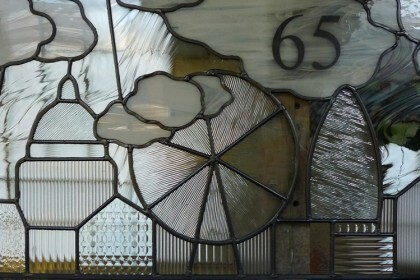 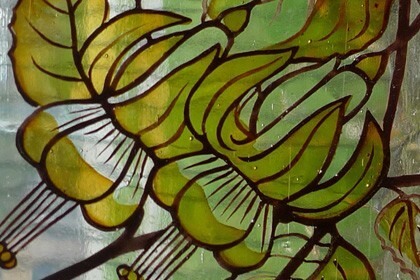 Tree of life window for private house in Holland Park. 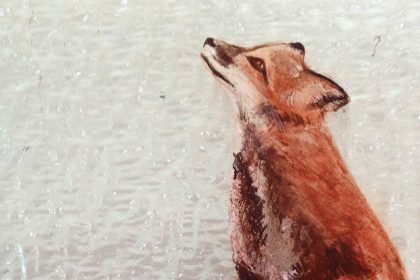 Painted fox for leaded light. 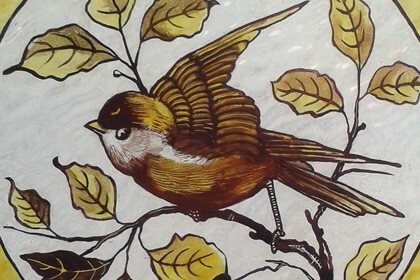 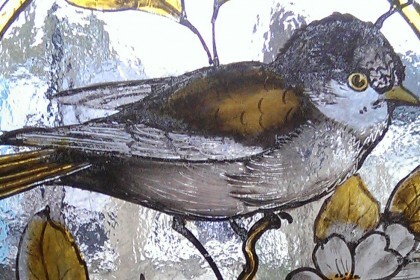 Reproduction painted and stained birds for restored Victorian window. 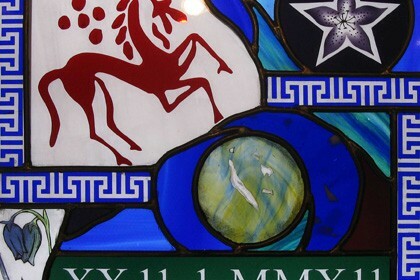 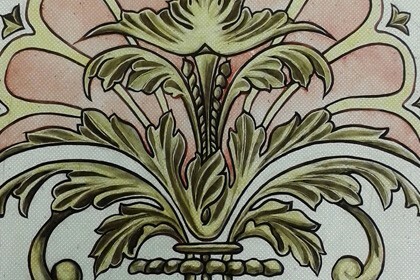 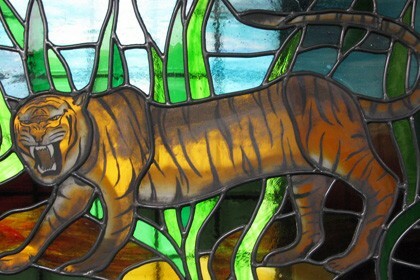 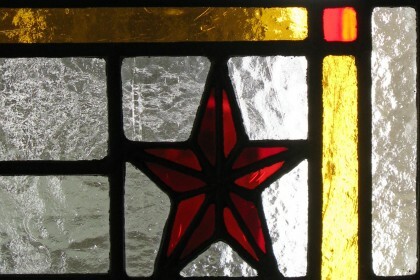 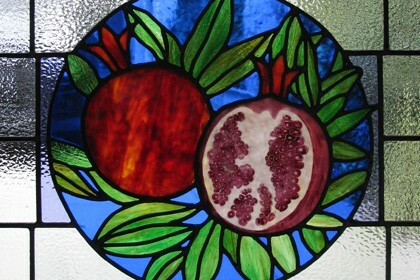 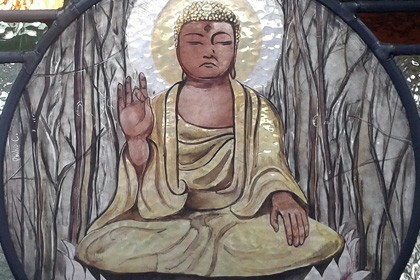 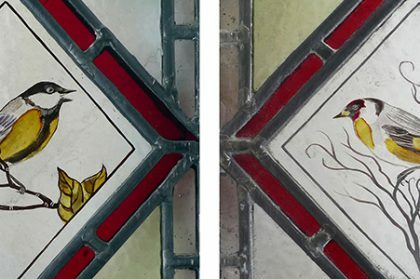 Reproduction hand painted and stained glass to replace broken piece in period window. 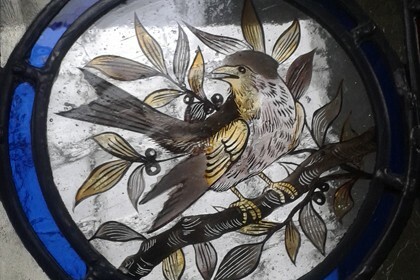 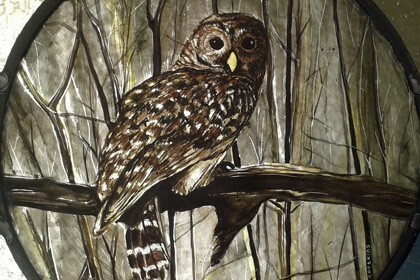 Reproduction hand painted bird roundel using traditional kiln fired paints and stains. 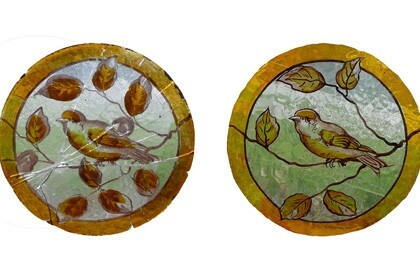 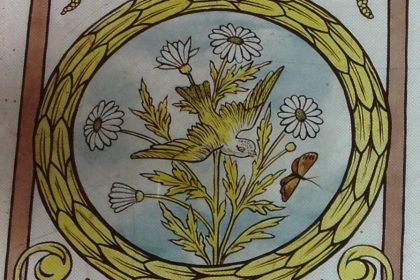 Set of reproduction Victorian painted and stained bird roundels. 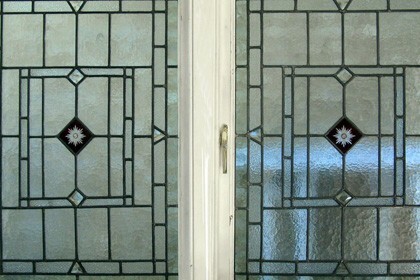 Traditional leaded lights for hallway. 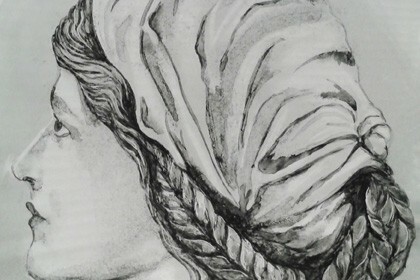 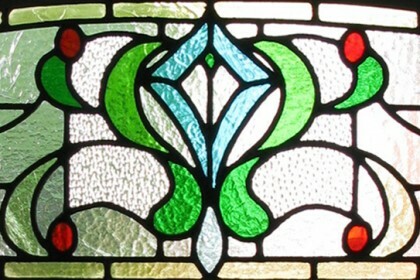 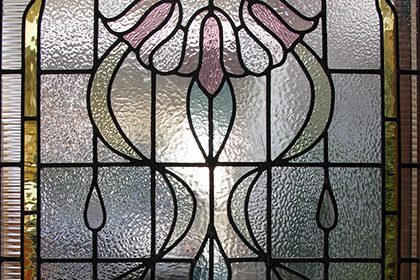 Reproduction of classic Victorian leaded light. 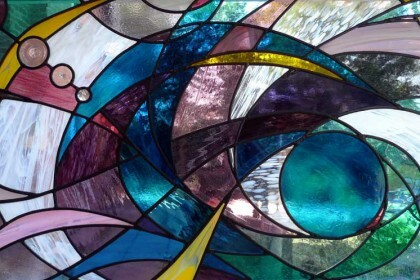 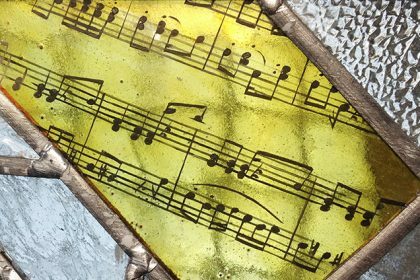 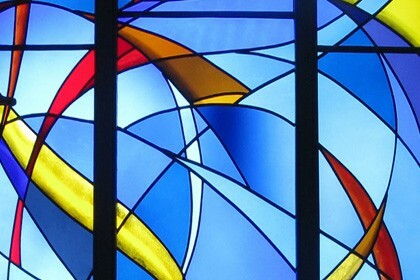 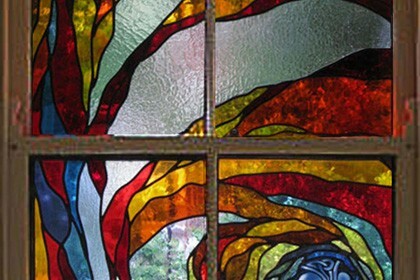 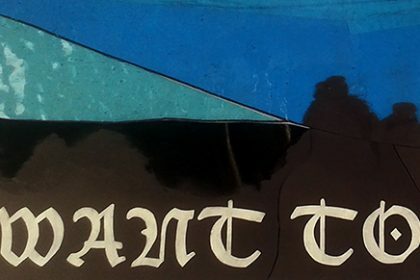 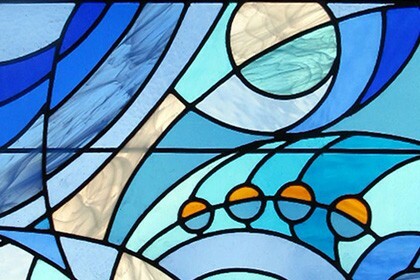 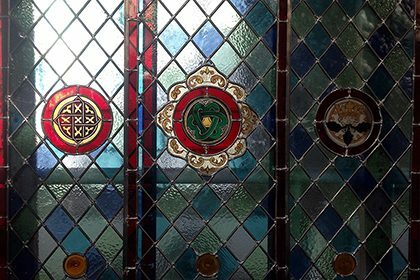 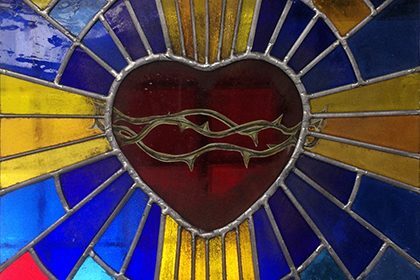 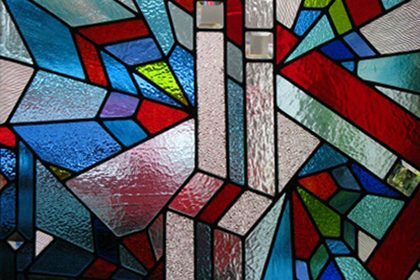 Hand painted contemporary church windows.